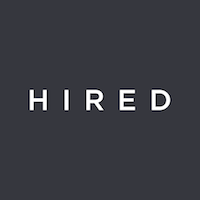 Get 5+ Job Offers in 1 Week on Hired, where companies apply to you. On Hired the traditional process of finding a job is completely reversed; instead of applying to companies, they apply to you! Try a new way of finding your next challenge, and only talk to companies that are the right fit.